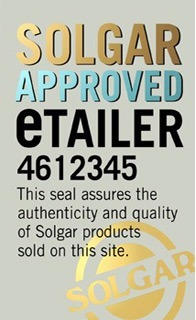 Solgar obtains the highest quality traditional herbal extract where the active constituents are not standardised. Rather, the whole herb is concentrated to provide higher levels of the principal constituents of the plant. This traditional extract is then blended with all of the components that occur naturally in the whole herb. The result is a potent, premium-quality traditional herbal extract with all of the synergistic and beneficial qualities found in nature. Solgar supplies several different Full Potency Herbs supplement products such as Solgar Aloe Vera (Aloe barbaderis) 520mg 100 Vegicaps Capsules, Solgar Astragalus (Astragalus membranaceus) 100 Vegicaps Capsules and Solgar Burdock (Arctium lappa) Root 100 Vegicaps Capsules.